Hi All, I haven’t been checking in on the forums for a while (life being busy and all), but we’ve just moved onto a very small block which is mostly bush, so definitely will be honing some crafts! I could drag it out and use it for storing outdoors stuff, tents etc. any other more ‘homesteads’ ideas? Think I have one similar with a hinged lockable lid and use mine for storing things that are susceptible to damp, dust etc. The lockable lid give some security and perhaps it may be an idea to hang on it ? I use one like this in the back of the truck to carry the chainsaws, motor drill & fuel & oil in. I have a couple of similar boxes. I used some silicon on the metal seams to ensure they were sealed, and added seal strip around the top of the lid so it sealed properly when closed. I took the boxed around Australia and they stayed dry and dust free. Since then I've used them for outdoor storage of "homesteading equipment" - specifically I put clean jars and bottles in them for later use; They stay clean and dry even outside. You could use it to store some gear "in the bush" when you setup a camp site at the back of the block ? - drop in a billy, blanket, chair ... stuff for a sleep out ? - Could be great to setup like that if you have kids ? 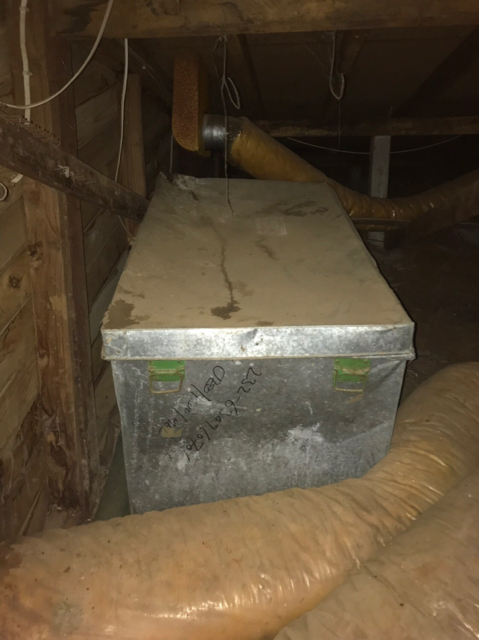 I keep a similar box in the garage to store rags - keeps them dry, dust free, and protected from vermin - nothing worse than looking for a clean rag to soak up a spill or wipe hands and getting one that's dusty and full of cockroach eggs! ...You could use it to store some gear "in the bush" when you setup a camp site at the back of the block ? Some great ideas there, thanks, I think I just needed some input to kickstart the brain! I can’t really orientate it in a way to make it useful under the house, due to the slope of the land and heating ducts etc, had thought I could stash it under the deck, but saving it for down the block is a great idea! We’ve got a lot of clearing to do, so it will make a perfect tool cache, I’ll definitely be following your lead and sealing it well first. ...and yes, the two boys will love it to store goodies once I build a cubby of some sort out there. You could turn it up on it end and use it for a smoke box. You would need to drill some hole but nothing to hard.